MBP Africa covers the East Atlantic Flyway region of Africa (western coastline of Africa) and forms part of the overall MBP project. We have a Coordinating Group made of partners from Wetlands International West Africa, BirdLife, AEWA, and other local partners, as well as a Terms of Reference for the group. We have also prepared a workplan, detailing our key aims and objectives. We have created an MBP Africa poster, as well as translated the MBP Film into French and Arabic. We also attended the Pan African Ornithological Congress in Senegal in October 2016, where we ran a workshop and a Roundtable Discussion. If you have any questions, please contact the Head of WLI, or our local representative Gabin Agblonon, Wetlands International. 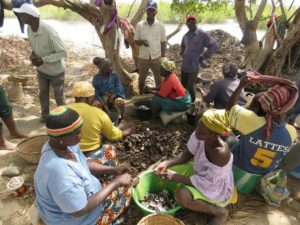 You can read the second Newsletter MBP Africa 2018, with details of engagement activities across four wetland sites in West Africa.